Mercedes-Benz USA announced pricing today for the ultra-exclusive 2016 Mercedes-AMG G65. 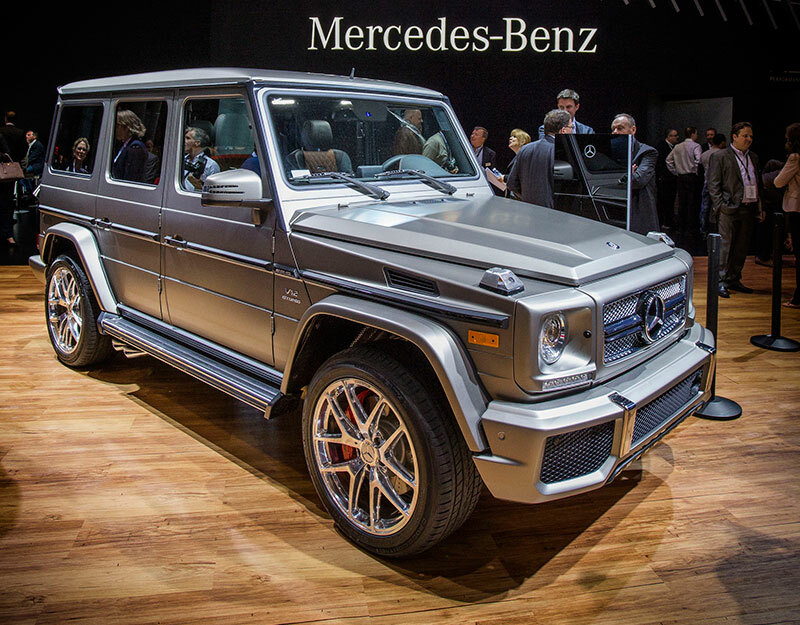 Starting at an MSRP of USD $217,900, this model joins the G550 and G63 AMG in the U.S. lineup in November 2015. It is also the fourth exclusive AMG model priced above $200,000: SL65 ($215,250), S65 sedan ($222,000), and S65 Coupe ($230,900). Powered by a V12 bi-turbo engine, the G65 AMG delivers 621 hp and 738 lb-ft. of torque, with an estimated 0-60 mph acceleration in 5.3 seconds. The G-Class is the only off-road vehicle in its class to combine the electronic traction system 4ETS with a transfer case and three 100% differential locks. The G-Class made its official debut in Fall 2002, and CY2014 sales of the G-Class were higher than ever in the U.S. with 3,090 units delivered to customers (1,428 G550 and 1,662 G63 AMG). Standard and optional equipment and more detailed specifications will be available closer to the November 2015 U.S. market introduction.